Sister Wendy Beckett passed away on Boxing Day 2018. I do not use the word died, as someone with Sister Wendy’s warmth, faith and devotion to share her knowledge does not die. That is too final a word. Her knowledge has passed down and is now ingrained in many people through her books and television programmes. For many people, including myself, she was one of the first people on television who spoke about Art (a subject with a foreboding capital letter) and turned it into art. Sister Wendy wrote about art without using ten words when one would do, and you never need a thesaurus to understand Sister Wendy’s simple and captivating comments in her books. This art was for all. It was art that was understandable and, as someone who did not venture into an art gallery into their late twenties, art that I could approach, appreciate and have opinions on. No one, I realised, would shout at me when I ventured into an art gallery and looked at a painting. 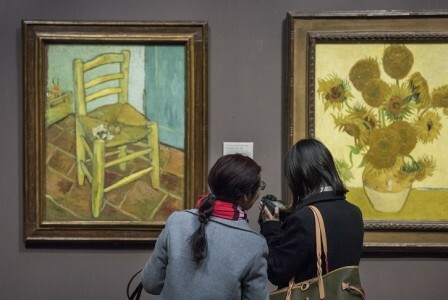 Viewing Van Gogh’s Sunflowers for the first time in The National Gallery (in the days before crowds of people taking selfies crowded the painting) and seeing the thickness and movement of the paint and the vividness of the colours made me realise that art was created (created not made) by people. People with passions and flaws and people who had the urge, the compulsion, if you will, to communicate. It was this compulsion that I had all my life and Sister Wendy helped me realise what it was: in my case, a desire to communicate, educate and tell stories about history in all its forms and the people of the past. But never to get in the way of the history itself; let the painting, the object, the document speak. In remembrance of Sister Wendy, I will highlight some of the paintings that she picked out as her favourites in My Favorite Things: 75 Works of Art from Around the World, which was published by Abrams Books in 1999. I think Sister Wendy would appreciate it if the art did the talking. Let’s begin with her favourite painter – Cézanne. This work The Lac d'Annecy, painted in 1896, is highlighted by Sister Wendy as one that shows that the visible world changes all the time. The lake is visible but it also changes depending on our own emotions. Is it dark and foreboding, or the dark before the dawn? This sublime work by Pieter de Hooch shows an everyday task, peeling an apple. Indeed it is called A Woman Peeling Apples and was created in c.1663. Sister Wendy admired this work because of the pure love that obviously exists between mother and daughter. The mother passes her child a long piece of peel – perhaps they have indulged in that game we all have played when peeling fruit, to see how long we can make the peel. The small girl stares in fascination at this simplest of gifts from her mother. 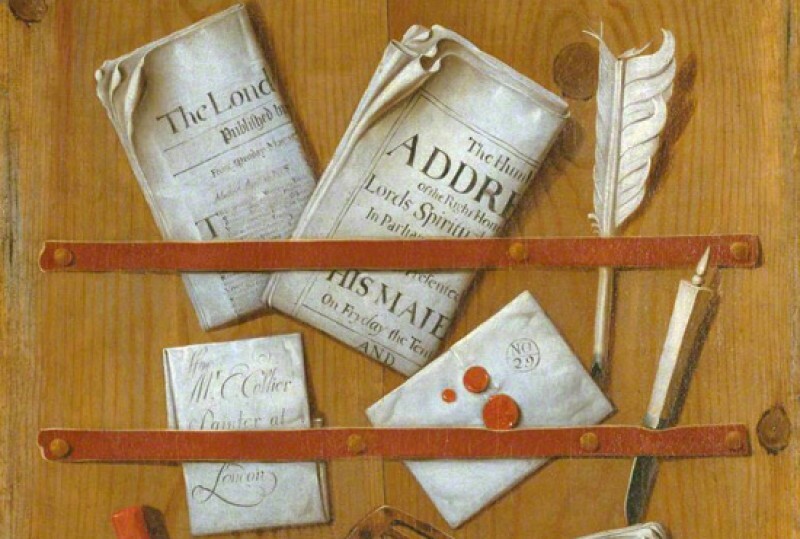 Sister Wendy comments: ‘Quite a lot of my favourites are still-life paintings. I like their stillness.’ A simple, charming and highly intellectual comment that makes you pause. Vincenzo Foppa's The Young Cicero Reading oof c.1464 is the earliest of the works I have selected from Sister Wendy’s selection of 75. I love this painting as it shows the sheer joy of reading and how it can absorb you into its own world. I love getting lost in a book. Cicero is absorbed in the book and oblivious to the world around him. His casual but awkward pose also shows us this. It also shows devotion to learning and a reverence to words on a page. I thought it was rather apt to finish on this beautiful painting by Raphael, Saint Catherine of Alexandria. Art, in all its forms, can be breathtaking in its splendour. It can educate and overwhelm in equal measure. With the help of the programmes and books of Sister Wendy, I realised that one of the most important things you can do when looking at art is to stop, take a breath and look, actually look, at the artwork. Not glance, not glimpse and certainly not (as is common these days) take a snap on your latest piece of technology and move on, but pause, breathe and reflect. The most important lesson however that watching Sister Wendy’s programmes and reading her books taught me was that art was for everyone. In the book, Sister Wendy notes that she wishes she could tell her favourite painter Cézanne of her admiration and gratitude – perhaps now she has and perhaps he has returned the compliment.